How Long Can I Take Orlistat? Orlistat is a medicine commonly used to aid lose weight for individuals who are overweight or obese. Orlistat interferes with the way that fat is normally digested and absorbed by the body, thereby reducing the amount of fat the body accumulates. In actuality, there is no restriction on how long you can take Orlistat. The length of time you can take this medicine is affected by your BMI, and how much weight you lose while taking orlistat. Orlistat is usually taken 3 times per day just after each main meal that contains some fat (no more than 30% of the calories for that meal). Doctors usually advise that you take the medicine while having your meal or not more than 1 hour after eating. In most cases, if you lose up to 5 percent of your weight within three months it is alright to continue taking orlistat. However, your doctor will need to review your treatment regularly and will decide if it is still appropriate for you to carry on taking orlistat. If after six months of continuous usage, you still experience weight loss then your doctor may advise that you continue taking orlistat. This may be for up to 1-2 years, or longer if you have a great deal of weight to lose. Most doctors would advise that you stop taking orlistat only when you stop experiencing weight loss while taking the medicine for over a period of three months. The other reason to stop taking orlistat is that you have reached the average BMI considered healthy (18.5 to 24.9). Aides from making it tough for your body to ingest fat, orlistat can also make it difficult for your body to absorb certain vitamins, because of this you may need to take a vitamin and mineral supplement throughout theentire time you are expected to take this medicine. It is important to follow your doctor's instructions on the type of supplement to use. Take the supplement at bedtime, or at least 2 hours before or after you take orlistat. As with every medicine, there are people who should avoid taking orlistat. Because orlistat hampers the body’s ability to absorb fat, it can adversely affect other chemical processes in the body. The following category of persons are advised to avoid taking orlistat. • Pregnant or breastfeeding mothers. • Individuals younger than 18. • Anybody who suffers from a malabsorption syndrome (irregular digestion). • People with cholestasis. This is a condition where bile does not flow properly from the liver to the duodenum. • Orlistat can also interfere with the absorption of various medicines and vitamins and affect the way that they work. 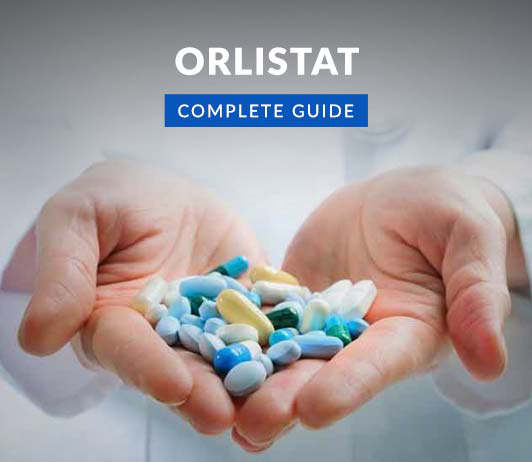 Orlistat is known to interferes with: Some treatments for HIV and AIDS, ciclosporin, warfarin, treatments for epilepsy, it may also affect how well contraceptive pills work. NOTE: Orlistat is only part of a complete program of treatment that also includes diet, exercise, and weight control. Your daily intake of fat, protein, and carbohydrates should be evenly divided over all of your daily meals. Follow your diet, medication, and exercise routines very closely. As an extra tip, after you stop taking orlistat (having reached a healthy BMI) it is best to keep your weight down by sticking to a healthy diet, exercising regularly, and checking your weight regularly (once a week).